Today Nokia has announced two new social networking focused devices. The Nokia C6 and Nokia E5. Both combine a full QWERTY keyboard they are dedicated as social networking tools in the hands of many people around the world, at affordable prices. Besides the already mentioned full QWERTY keyboard the Nokia E5 and C6 sport easy access to your email, IM communities and social networks. 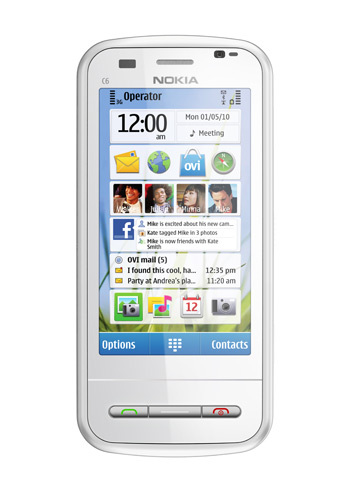 The Nokia C6 is a Symbian-based smartphone (S60 5th Edition) combining the benefits of a 3.2 inch touch screen with a full slide out keyboard. The large screen provides a great Internet experience, as well as offering access to Facebook feeds directly on the homescreen. A full suite of email and social networking capabilities means the Nokia C6 is perfect for people who want to stay up to date while on the go. 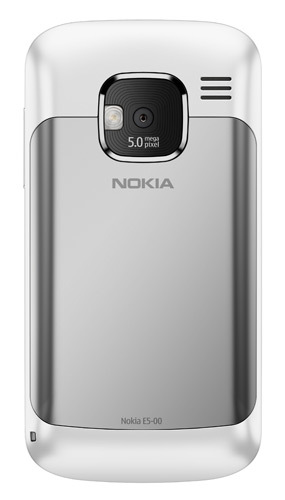 Expected to be available in the second quarter of 2010 at an estimated price of EUR 220, before taxes and subsidies, the Nokia C6 has an impressive feature set including a high quality five megapixel camera with autofocus and flash, and Ovi Maps with free walk and drive navigation. In addition, thousands of apps – from games and videos to news aggregators and web services – are available in the Ovi Store. 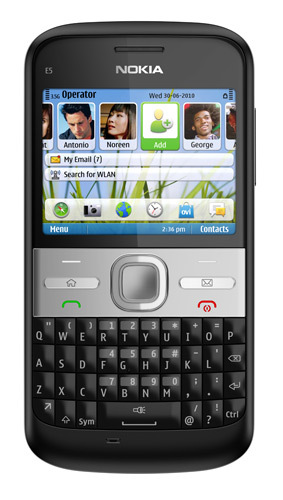 Rounding off the trio is the latest addition to the Nokia Eseries range, the Nokia E5. 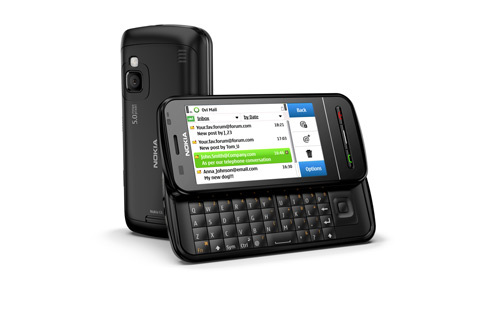 Designed for those that want to be productive in both their professional and personal lives, the Symbian-based Nokia E5 follows the successful blueprint of devices such as the Nokia E72 and Nokia E63. The Nokia E5 combines high quality business features with all of the personal networking and entertainment capabilities that a busy professional expects from a smartphone. The Nokia E5 is perfect for managing busy schedules with a variety of productivity applications available in the Ovi Store. Ovi Maps with free walk and drive navigation is on board as well. And with direct access to over 90 percent of the world’s corporate email through Mail for Exchange and IBM Lotus Notes Traveler, it’s easy to keep in contact from anywhere. Moreover, it packs also a five megapixel camera with flash and autofocus. Estimated price of the Nokia E5 is EUR 180, before taxes and subsidies, with expected availability in the third quarter of 2010. I really like the design of the Nokia E5. Looking forward to hold it in my hands.